A beautiful bright sky blue unheated Ceylon sapphire in a custom square cushion design, 1.75 carats. 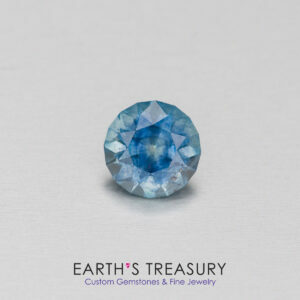 This lovely unheated Ceylon sapphire is a beautiful bright sky blue color. 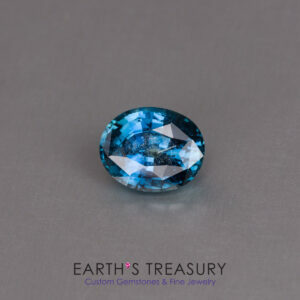 Sri Lanka (formerly called Ceylon) is famous for its gemstones, especially sapphires. The government has maintained regulation over mining to prevent large-scale environmentally destructive mining from occurring, encouraging small-scale artisanal mining. 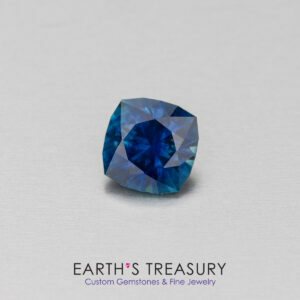 This sapphire was acquired directly from a mine owner in Sri Lanka, and then recut here in the United States for maximum beauty and brilliance. 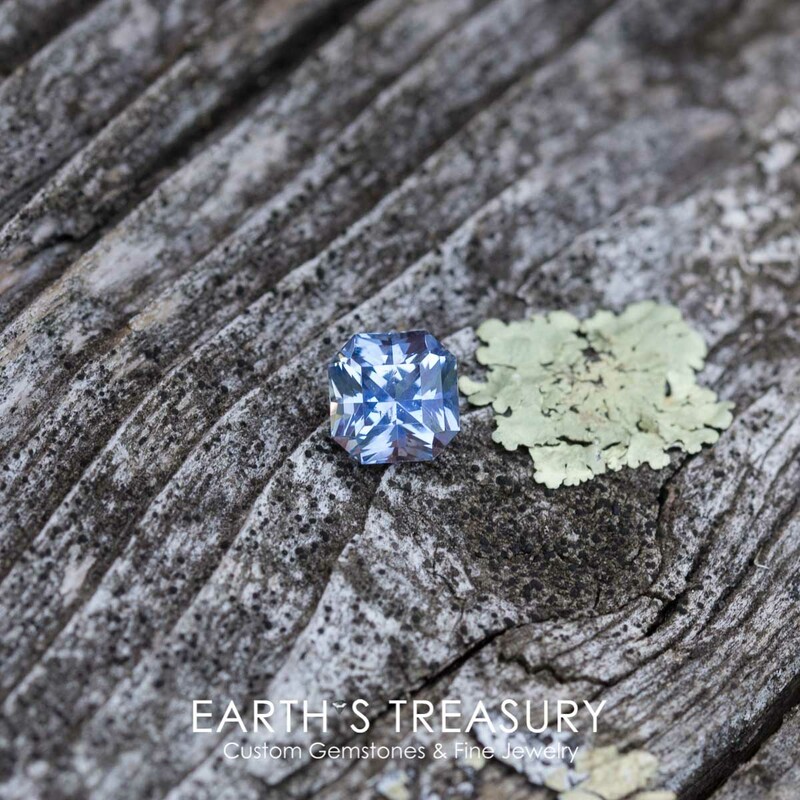 This sapphire is very clean, and while the macro image shows some tiny crystal inclusions, they are impossible to see in the hand without a 10x loupe. 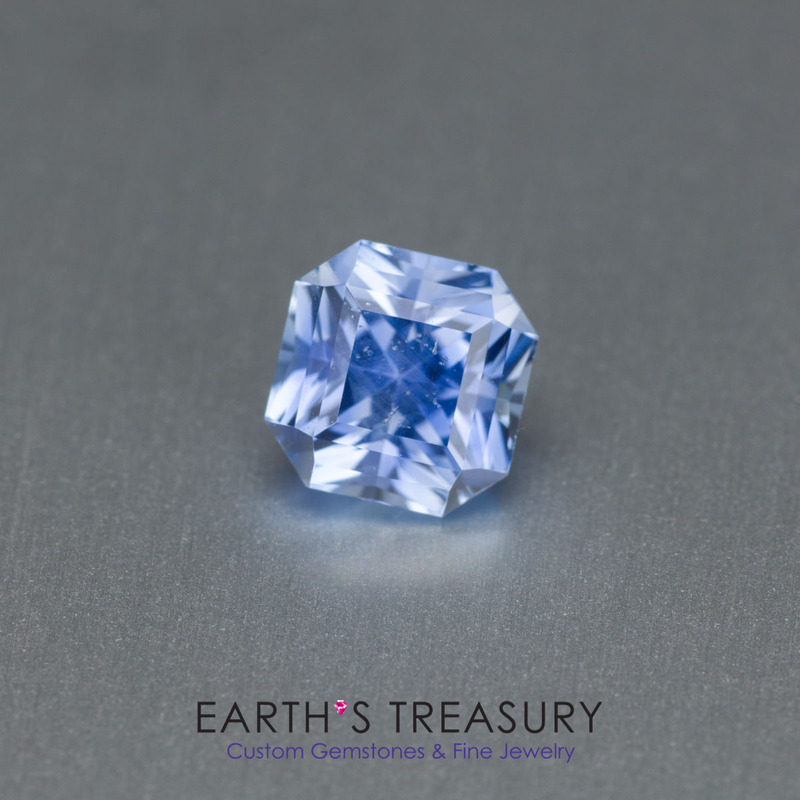 It was precision cut here in the United States in a beautiful custom square cushion design. 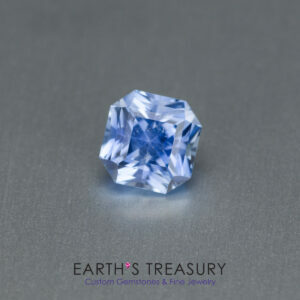 The gem weighs 1.75 carats and measures 6.3 x 5.10 mm. 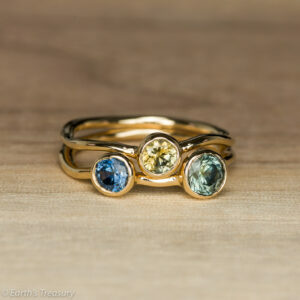 It would make the perfect gem for a unique engagement ring!